In our series of letters from African journalists, Kenyan Joseph Warungu looks at the new strategy by the country’s anti-corruption body to use the Bible to deter theft of public funds. You know you are in deep trouble when nothing else can save you except prayer. That’s where Kenya is at the moment. The country is sinking into deep debt, much of it the result of widespread mismanagement of public funds. Corruption is eating us up alive, with new scandals emerging day after day. And nothing is sacred, not even the water we need for life. In parts of the capital, Nairobi, criminal cartels with alleged connections to some powerful people at the Nairobi county government are reportedly secretly disconnecting water supplies to whole residential estates. This creates an artificial shortage, which they benefit from by selling water to the residents from their water trucks businesses. That’s why I’m in prayer mode. You might find it hard to prove officially that you gave birth to a Kenyan until you give birth to another child – called cash. The Ethics and Anti-Corruption Commission (EACC), the country’s official body for fighting corruption, appears overwhelmed by the scale of the problem. It has tried many things but nothing seems to be working. Indeed the problem appears to be getting worse, according to the commission’s new national survey on corruption, which was published earlier this month. The figure for those who paid bribes to receive government services has risen to 62%, up from 46% just two years ago. One of the services said to be most prone to bribes was the collection of birth certificates. So as a mother, although you may have carried a pregnancy for nine months and then given birth to a baby, the pain is not over. And there’s yet another problem when it comes to reporting incidents of corruption. According to the EACC’s survey, the police service was ranked first among government departments and agencies perceived to be most prone to corruption. So you have nothing to drink at home because your water supply has been illegally disconnected. You cannot be reconnected because the people behind your headache are well connected to the powers that be. You’re thirsty, they’re hungry and the nation is tired. The EACC itself is fed up. It wants to do something but Kenyans will not do anything. According to its survey, 61% of the respondents have done nothing to support the fight against corruption and promote sound ethical standards in the country. Why? Well, because they’re scared. The survey says the majority of Kenyans do not report corruption and unethical behaviour for investigation, because they fear potential harassment and reprisal. So running out of ideas for tackling this menace, the anti-corruption commission has turned to a new weapon – the Bible. It recently launched the Bible Study Guide to enhance its fight against corruption, hoping this will make a difference in this supposedly God-fearing country. The commission itself is led by retired Anglican Archbishop Eliud Wabukala, a man of God who knows his Bible very well. The EACC says that the Bible Study Guide is intended to help Kenyans “interact with the Bible and discover God’s position on corruption, and his direction on living a corruption-free life”. President Uhuru Kenyatta and his deputy William Ruto appear to have had their own Bible study six years ago when they won their first election. They said their policies came straight out of the holy book. Mr Ruto recently reminded everyone that the governing Jubilee Party’s manifesto was anchored on biblical teachings, saying, “the commitment to deliver on our pledges is more out of the belief that we are working for God rather than men”. So clearly the good bishop is in good company. I personally have nothing against the Bible. I read it regularly and I know of quite a few characters in there who were deeply corrupt, starting with Judas Iscariot, a disciple of Christ who betrayed him for a fee only to take his own life later. But there are a few questions that I and fellow Kenyans would like the good bishop to bear in mind. Many of the top leaders who have been accused of, or charged with, corruption are church-going, Bible readers. Is there another version of the holy book that the bishop could recommend to them? Secondly, some of the money stolen from the public, finds its way to the church in the form of offerings or tithe. 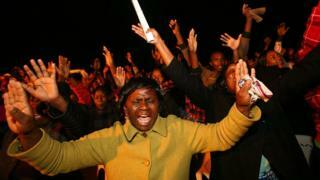 Is the church in Kenya in danger of money-laundering? Thirdly, what study guide will the bishop recommend to non-Christians? Does corruption not affect them too? As I write this, I suspect some of the “tenderpreneurs” – infamous cartels that bribe their way to fat government tenders – are busy plotting to submit an inflated proposal to procure and distribute a free copy of the Bible to all Kenyans. The anti-corruption commission currently has no such plans. The knees of many Kenyans are sore from constant prayer for Kenya to emerge from the pipeline of catastrophes that engulf it. They will be praying that once the anti-corruption commission conquers the spiritual battle, it will come up with tangible worldly tools to fight the disciples of corruption on the ground. In other words, the culture change must flow from the top.